Molag Grunda is acknowledged in Coldharbour as Molag Bal's daughter—though it's not clear what that relationship means to a Daedric Prince. 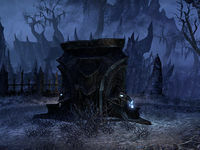 The Soul Shriven whisper that those Dremora posted to Molag Grunda's court are never happy about the assignment. The Chasm is a battlefield in central Coldharbour, just north of the Hollow City. 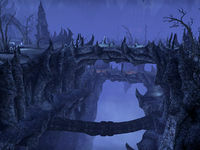 The Chasm divides the regions of Shrouded Plain and Black Garrison from Fist of Stone, making the northern portion of Coldharbour inaccessible until a certain point in the zone's questline. It has a single, heavily fortified crossing point which is navigable through the use of portals. The Chasm Objective: Help the combined forces secure the Chasm. 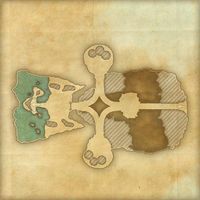 The Chasm Wayshrine is located at the southern end of the battlefield, just outside the Hollow City.